Peter C. Boylan III is co-founder, President and Chief Executive Officer of Cypress Holdings and Chairman of the Board, President and Chief Executive Officer of Cypress Energy Partners GP, LLC, having served in that capacity since September 2013. Since March 2002, Mr. Boylan has been the Chief Executive Officer of Boylan Partners, LLC, a provider of investment and advisory services. From 1995 to 2004, Mr. Boylan served in a variety of senior executive management positions of various public and private companies controlled by Liberty Media Corporation, including serving as a board member, Chairman, President, Chief Executive Officer, Chief Operating Officer and Chief Financial Officer of several different companies. Mr. Boylan currently serves on the board of directors of publicly traded BOK Financial Corporation, a $27.5 billion regional financial services and bank holding company, and MRC Global Inc., a global industrial supplier of upstream, midstream and downstream sectors of the energy industry. 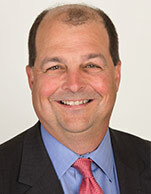 Mr. Boylan has also served on a number of other public and private company boards of directors over the last 20 years. Mr. Boylan has extensive corporate senior executive management and leadership experience, and specific expertise with accounting, finance, audit, risk and compensation committee service, intellectual property, corporate development, health care, media, cable and satellite TV, software development, technology, energy and civic and community service.